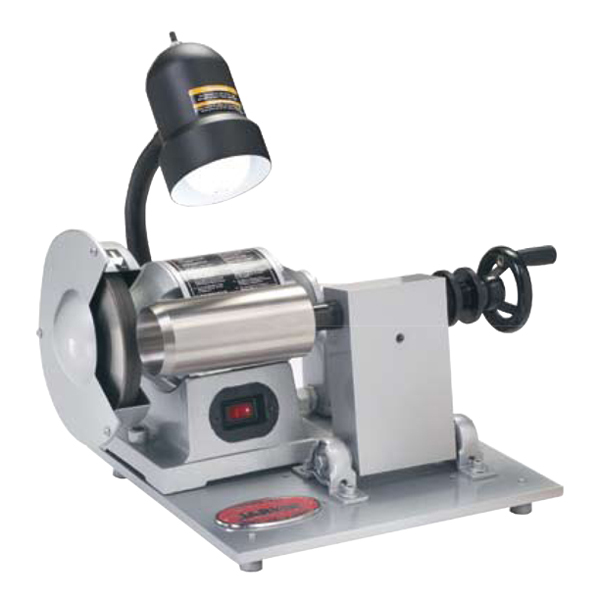 The Jarvis Model GHB-1 – for perfect hog or sow bung dropper blade sharpening. • Ideal for sharpening hog or sow bung drop per blades used on Jarvis hog/sow bung dropper tools. • Accurately sharpens badly damaged or worn blades as new. • Sharpens blades to original design specifications – reduces material removal for longer blade life. • Precision ground blades reduce operator fatigue, also wear and tear on equipment. • The GHB-1 produces perfect blades every time – nothing else is required.